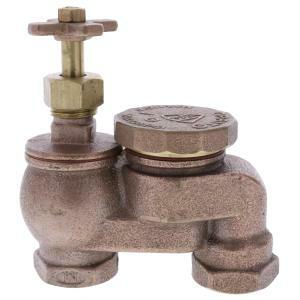 Anti-Siphon valves are commonly used where a backflow prevention device is required. Anti-Siphon valves are designed to prevent contaminants from entering back into your main water supply. Anti-Siphon valves are installed above ground at least 6" above highest sprinkler head or water point in your system. No other valves can be placed downstream of anti-siphon valve. *Please note: Brass contains trace amounts of lead, so please consider your planned use before purchase. WARNING: This product can expose you to chemicals, including Lead, which are known to the State of California to cause cancer and birth defects or other reproductive harm. For more information go to www.P65Warnings.ca.gov.